First Grade Kate: Happy New Year!! I hope your year is filled with joy, peace, and wonderful moments with your loved ones! 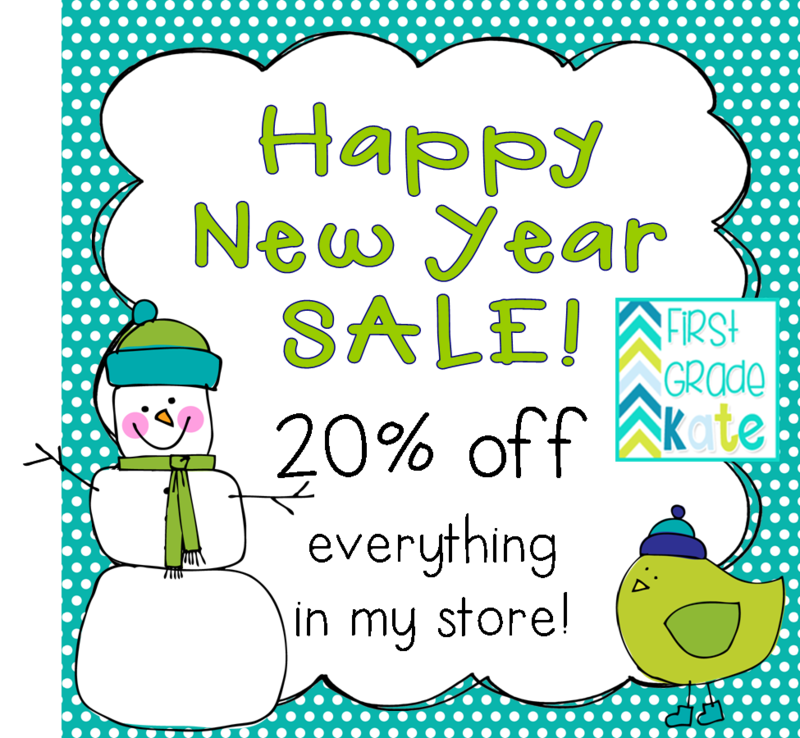 I am putting everything in my TPT store on sale for 20% off today and tomorrow!